People from across the UK have reported seeing bright objects in the night sky, thought to be meteors or "space junk"
Coastguards in Northern Ireland took calls from people who saw the objects from Coleraine on the north coast, to Strangford Lough in the south east. The lights were seen as far north as Caithness in Scotland as well as in Wales and Norfolk in East Anglia. 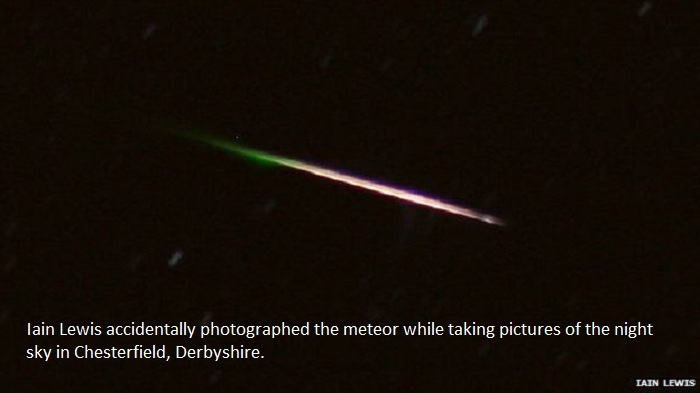 Experts said the sightings could be satellite debris, burning up on entry to the atmosphere. The lights have also been reported in the Midlands, parts of north-east England and in Glasgow and Edinburgh. 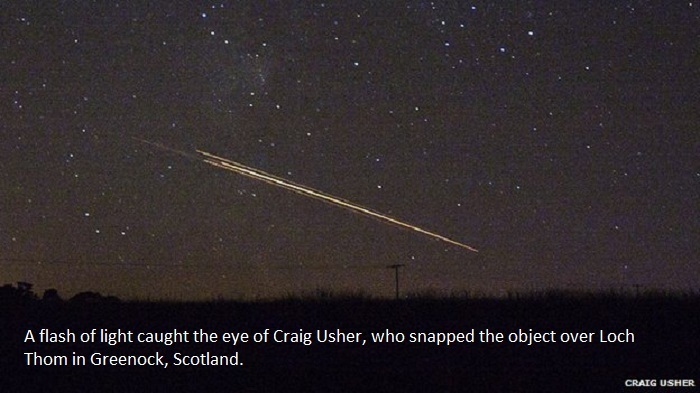 Brian Guthrie in Grangemouth near Edinburgh, who watched the objects pass through the sky, said it appeared to be something "pretty large breaking up in the atmosphere". 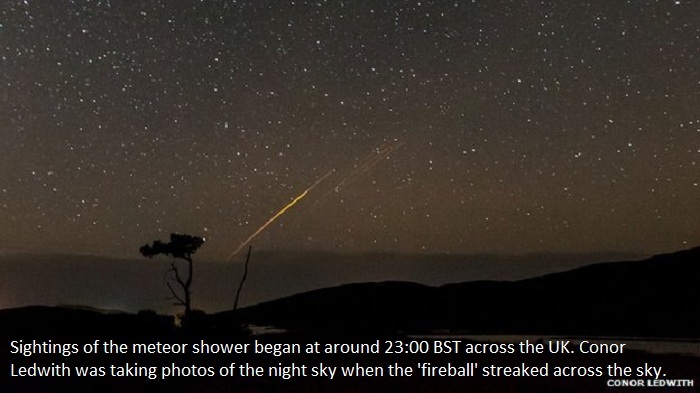 "I've seen shooting stars and meteor showers before, but this was much larger and much more colourful."